Also known as SLA, VRLA (valve-regulated lead-acid battery), sealed lead acid batteries have many uses in today's world. From modern motorcycles, ATVs, home alarm systems, toys, backup systems, workout equipment, generators and the list goes on. These batteries come in all shapes, voltages, amperages and sizes. If you are unfamiliar with SLA batteries, this article will help with any questions you may have. Also, it is recommended to read if you are thinking about replacing your current sealed lead acid battery. 1. Do I Have to Use the Same Battery Manufacturer? No, you may use other brands as long as the voltage and dimensions match your original battery. The difference in capacity (Ah) should not damage your unit. Check your system manual for minimum and maximum power requirements. 2. Can I Select an SLA With Different Capacity? You may select a battery with a different capacity as long as it is within the same range. For example, if your current battery is 4Ah you may select a battery that is rated at 4.5Ah or 5Ah. Note; the battery size may change with a higher capacity. Always match your current voltage and dimensions to the replacement you select. 3. What is the Life of an SLA Battery? The life of a sealed lead acid battery will depend upon a number of factors including application, operating temperature and the charging method. In general an SLA can last between 300-500 cycles. Never store the battery in a discharged or partially charged state. To extend the life of your battery, be sure to recharge your battery before storage. 4. What is the shelf life of my Sealed Lead Acid battery? All SLA batteries self-discharge. If the battery is not recharged periodically, its full capacity may not be recoverable. Typically, SLA batteries self-discharge 3% every month. We recommend you check and recharge every three months. SLA batteries should never be stored longer than six months without being recharged. Store the battery in a dry, cool place. Ideal storage temperature is 20-30% degrees Fahrenheit. 5. Do I need to drain my Sealed Lead Acid battery to prevent memory effect? No. SLA batteries do not suffer from memory effect. Draining your SLA battery may result in damaging it. 6. The Battery is Swollen, What Does That Mean? Immediately remove the battery from the device. A battery becomes swollen as a result of overcharging. Excessive current will flow into the battery after the battery has reached a full charge. The constant current will cause decomposition of the water in the electrolyte and premature aging. At high rates of overcharge a battery will progressively heat up. As it gets hotter it will accept more current, heating up even further. This is called thermal runaway and it can destroy a battery in as little as a few hours. The heat will cause the battery to expand. 7. How to Connect a Battery in Series and Parallel? You can connect your SLA battery in series or parallel. Connecting your SLA batteries in series will generate a higher voltage. For example, connecting two 12 Volt batteries will give you an output of 24 Volts. Connecting your batteries in parallel will increase the capacity (Ah). For more information, please refer to 'Connecting Your SLA Batteries Together'. 8. How Do I Charge the SLA Battery? Some machines systematically charge the SLA battery, for example some home alarm or backup systems. Meaning, you do not have to take the battery out and charge it on a battery tender. What Terminal Do I Need? 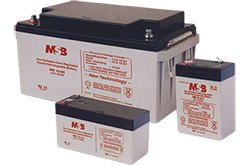 Since SLA batteries are used in a variety of products, batteries are available in a variety of different terminal configurations. Please refer to our battery terminal page for pictures and dimensions of the different terminals. I Dropped the SLA Battery, What do I do? How Do I Recycle My SLA Battery? 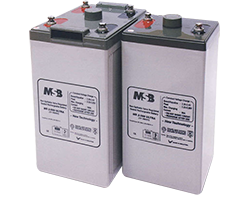 Visit our Battery Recycling page for more information on how to properly dispose of your sealed lead acid battery. SLA, VLRA, AGM, Is There a Difference? SLA (Sealed Lead Acid) and VRLA (Valve Regulated Lead Acid) are different acronyms for the same battery. This battery type has the following characteristics: Maintenance-free, leak-proof, position insensitive. Batteries of this kind have a safety vent to release gas in case of excessive internal pressure build up. AGM (Absorbed Glass Mat) refers to a specific type of SLA/VRLA where the electrolyte is absorbed into separators between the plates consisting of sponge like fine glass fiber mats. 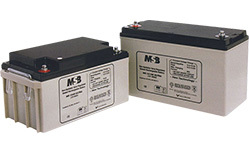 SLA batteries are divided up into specific subsets of batteries. AGM and Gel Cell Batteries Difference? 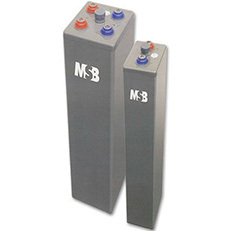 Both types of batteries are sealed, valve regulated batteries allowing them to be used in any position. The difference lies in the way the electrolyte is immobilized. In case of AGM (absorbed glass mat), the newer of the two technologies, the electrolyte is absorbed by the glass fiber separator who acts like a sponge. In a gel-type battery the liquid electrolyte turns into a gel right after the battery is filled. Gel batteries use a different type of separators which are not absorbent. Because of the design, gel cell batteries don't offer the same power capacity as do the same physical size AGM battery. For example, an AGM battery that is 12V 100AH, whereas, for example, a gel cell battery in the same size case would only be rated at 84AH.However, the Gel Cell excels in slow discharge rates and slightly higher operating temperatures. The internal design is otherwise similar. AGM (absorbed glass mat) is a specially designed glass mat made to wick the battery electrolyte between the battery plates. AGM Batteries contain only enough liquid to keep the mat wet with the electrolyte and if the AGM battery is broken no free liquid is available to leak out. 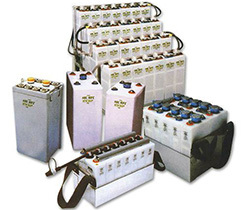 AGM Batteries are preferred when a large amount of amps may be required. In most cases, recharge can be accomplished by using a good quality standard battery charger. The life expectancy (measured as cycle life or years) remains excellent in most AGM batteries if they are not discharged more than 60% between recharges and/or recharged fully every 3-6 months. Gel Cell Batteries contain a silica type gel in which the battery electrolyte is suspended. This thick paste-like material allows electrons to flow between plates but will not leak in a gel battery if the case is broken. More often than not, AGM batteries are mistakenly identified as Gel Cell Batteries. Both batteries have similar traits such as being non-spillable, able to be mounted in any position, low self-discharge, safe for use in limited ventilation areas, and may be transported via air or ground safely without special handling. 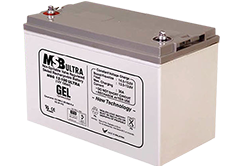 Gel Cell Batteries do not offer the same power capacity as do the same physical size AGM batteries. However, the Gel Cell excels in slow discharge rates and slightly higher operating temperatures and with excellent deep cycle capability. Gel Cell batteries are considered deep cycle batteries by virtue of their construction. One big issue with Gel Cell batteries that must be addressed is the CHARGE PROFILE. 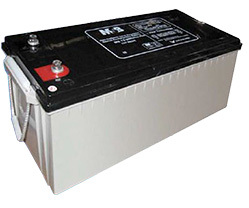 Gel Cell batteries must be recharged correctly or the battery will suffer premature failure. Please refer to the specification sheet for the max charging current limit. Using Gel Cell chargers is highly recommended.